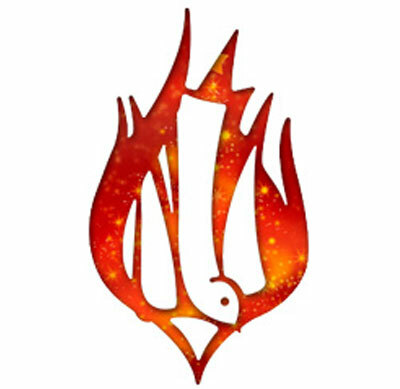 The Logo for the Year of Consecrated Life expresses through symbols the fundamental values of consecrated life. In it we recognize the "unceasing work of the Holy Spirit, who in every age shows forth the richness of the practice of the evangelical counsels through a multiplicity of charisms. In this way too he makes ever present in the Church and in the world, in time and space, the mystery of Christ". (VC 5) Learn more about the Logo on the Vatican Website. The Year of Consecrated Life was officially inaugurated by His Holiness, Pope Francis, on November 29, 2014 with a Prayer Vigil at the Papal Basilica of St. Mary Major in Rome. The Year continues to February 2, 2016, the World Day of Consecrated Life, when Pope Francis will celebrate a special Mass at St. Peter’s Basilica in Rome. Mass at the Basilica of Our Lady Immaculate, Guelph. with vows of poverty, chastity and obedience. in the footsteps of your Son, Jesus Christ. to consecrated life in the Church today. and signs of hope in our world today. "Ecce Quam Bonum! How Good It Is! Founded in 1562 in Avila, Spain, by St. Teresa of Jesus (1515-1582), the Discalced Nuns of the Blessed Virgin Mary of Mount Carmel are a renewed form of the Carmelite Order. This Order traces its beginning to the 13th century when a number of hermits on Mount Carmel joined together to form a community under the patronage of the Blessed Virgin Mary. They took as their inspiration the Prophet Elijah, who listened to God’s word and served Him zealously. Called by God to dedicate her life entirely to Him, St. Teresa gave to the Church a new style of religious life. In her small cloistered communities she joined the contemplative life of prayer to a zealous apostolic spirit. Today there are about 12,000 Discalced Carmelite Nuns present in some 81 countries. Joyfully united in the family of Carmel, they continue to live St. Teresa’s ideal. They live in intimate friendship with Jesus Christ, meditating day and night on the law of the Lord. They dedicate their prayer and all their energies to the salvation of souls, sustaining priests in their work of evangelization and defending the Faith. Perhaps the best example of this apostolic sense of the Carmelite Nuns’ vocation is St. Thérèse of Lisieux, who is co-Patroness of the Missions. The Discalced Carmelite Nuns arrived in the Diocese of Hamilton in 1952. They first settled in Kitchener, and later moved to their present location in nearby St. Agatha. The Nuns of the Carmel of St. Joseph pray for the needs of the Diocese, especially for its priests and seminarians. They receive many and varied prayer requests from within the Diocese and beyond. For more information, please visit www.thecarmel.ca. There has been a change of habits in Hamilton’s religious community. The Brothers of the Good Shepherd, who have ministered to the vulnerable members of our community since 1961, surrendered their iconic white robes on January 19, 2015, and donned the black habit of the Hospitaller Brothers of St. John of God. As a result, the Hospitaller Brothers of St. John of God - Province of the Good Shepherd in North America was born. Brother Justin Howson, formerly the Brother General of the Brothers of the Good Shepherd, has been appointed Provincial Superior. The Provincial Office is located in Hamilton, Ontario. It is good news for the people who rely on Good Shepherd in Hamilton. The Brothers’ ministries are dedicated to individuals whose circumstances have left them on the margin of our communities. This opportunity for the Brothers and their co-workers allows them to draw upon the strength that a much larger and geographically diverse religious Order can offer. The fusion does not affect the services provided by Good Shepherd, nor will the name of the agency be changed. Good Shepherd’s humanitarian services in Hamilton historically continue to be available to all people in our community and are provided without judgment or cost. These services include emergency food and clothing; emergency shelter; counselling and support for women and children fleeing abuse; mental health crisis support; supportive and affordable housing; and hospice palliative care. The Brothers will continue to minister in Toronto, the United States, Haiti, England and Ireland. The Hospitaller Brothers of St. John of God, one of the oldest and most distinguished religious orders in the Roman Catholic Church, has provided social care and health services since the 16th century. It originated in Granada, Spain, to continue the charitable work of St. John of God. The Hospitaller Brothers operate over 400 hospitals and other related healthcare and social services in 52 countries around the world. The Hospitaller Brothers, like the Brothers of the Good Shepherd, profess three traditional vows – poverty, chastity and obedience. In addition, they take a fourth vow of hospitality which commits them to service of the poor, sick and suffering, following the legacy of St. John of God. The Brothers throughout the world celebrate this fusion and look forward to the many blessings that will unfold. For more information, visit www.goodshepherdcentres.ca or www.ohsjd.org. The international congregation of the School Sisters of Notre Dame was founded by Blessed Theresa of Jesus Gerhardinger in Bavaria, Germany in 1833. Blessed Theresa believed that the renewal of society depended on the family unit and that women had a significant role in developing Christian values within the family. The education of girls from poor families became the focus of the congregation. Today, there are 2,900 School Sisters of Notre Dame who serve in 32 countries in Europe, North America, Latin America, Asia and Africa. Impelled by the Spirit and mission of Jesus, they educate with a global vision believing that the world can be changed through the transformation of persons. Five School Sisters of Notre Dame came to North America in 1847 to educate the children of German immigrants. An invitation by Rev. Eugene Funcken CR to administer the orphanage in St. Agatha, Ontario brought the SSNDs to Canada in 1871. In 1927 the Canadian Province was established. The new Motherhouse was built in Waterdown, Ontario primarily because it was close to the Hamilton Teacher’s College. Within the Diocese the School Sisters of Notre Dame have been involved in education in elementary and secondary schools and at St. Jerome’s University, Waterloo. Formerly, sisters served in the Marriage Tribunal of the Hamilton Diocese and administered the diocesan catechetical program. At present, sisters minister in parishes and are involved in adult faith education and spiritual direction. A current initiative is the anti- human trafficking committee which provides workshops to educators, students, parish groups and civic officials. In July 2012 the Canadian Province integrated with the Atlantic-Midwest Province. Although the Provincial Council is located in Baltimore, a close liaison is maintained with Bishop Douglas Crosby and the Church in Canada. Further information is available at our international website www.gerhardinger.org and at www.ssnd.org. The Society of the Catholic Apostolate (S.A.C. 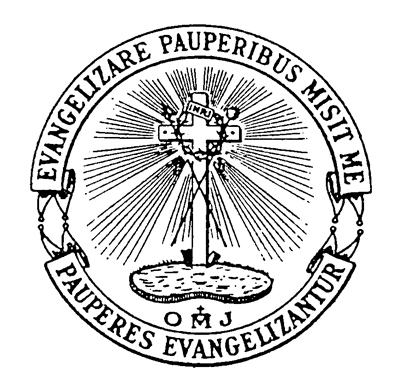 ), better known as the Pallottine Fathers, is a Society of Apostolic Life founded by St. Vincent Pallotti (1795-1850). St. Vincent strongly believed that lay people should play an essential role in the mission of the Church and, together with clergy and those in consecrated life, were all meant to be apostles united in Christ's ministry. To envision this idea, he founded in 1835 in his native city of Rome, the Union of Catholic Apostolate that would co-ordinate the apostolate activity of all its members: priests, religious men and women, and the laity. Pallottine Fathers, along with several Pallottine women’s congregations, are part of this Union. The idea of the “universal apostolate” was quite new at the time and only one century later has it started to be accepted and promoted within the Church. St. Vincent Pallotti was canonized in 1963 by Pope John XXIII during the Second Vatican Council. The charism of the Pallottines is to assist all people in living their apostolic vocation in life. According to the Founder all people are called to revive faith, rekindle charity and be apostles. 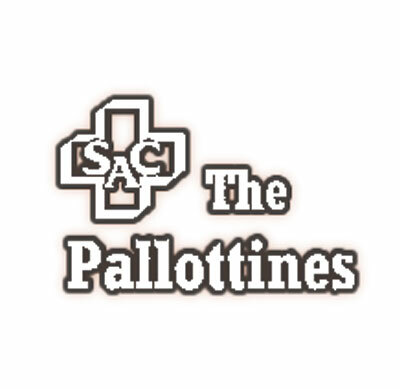 The Pallottines work in a variety of ministries including: foreign missions, schools, lay formation, shrines, chaplaincies, retreat centres, and parishes. The total numbers of worldwide Pallottines is approximately 2,400 (priests, brothers and seminarians) and are ministering in 46 countries on six continents. In the Diocese of Hamilton there are 7 Pallottines from Poland and one from India. 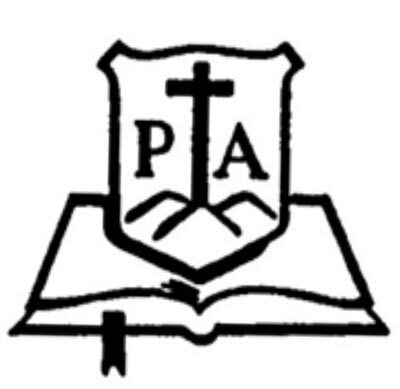 At this time the Pallottines serve in the following parishes: St. Agnes Church, Waterloo; St. Clement Church, St. Clements; St. Ambrose Church, Cambridge; St. Gabriel Church, Burlington; St. Anthony of Padua, Hamilton; Our Lady of the Assumption Church, Brantford; and Annunciation Church, Hamilton. Franciscans from various Franciscan Provinces in Croatia came to the USA in the early decades of the twentieth century to serve the needs of the many Croatian immigrants, as they still do today. They are members of the universal First Order of Franciscans (O.F.M.). At first, they were part of the Holy Cross Commissariat which also included the Slovenian and Slovak Franciscans. In 1926 the Croatian Franciscan Commissariat of the Holy Family was canonically established with headquarters in Chicago. In 1931 it was placed under the jurisdiction of the Franciscan Province in Mostar (Bosnia and Herzegovina). 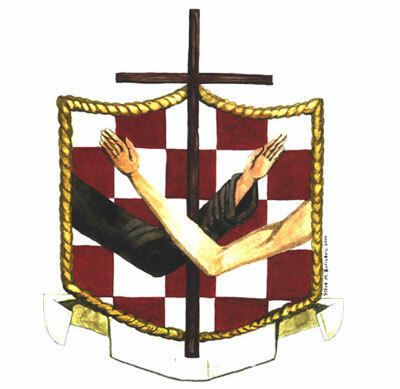 The official title was changed to the Croatian Franciscan Custody of the Holy Family in 1967 in compliance with the new General Constitutions of the Franciscan Order. The main Franciscan monastery is St. Anthony's in Chicago. Right now, they serve in 7 parishes in the USA and in 6 in Canada. Aside from parish ministry among the Croatian immigrants and all other Catholics in their territories, other apostolates include writing and publishing for the Croatian speaking population of this continent, chaplaincy work, teaching, and mission-retreat work. Presently, there are 23 members in the Custody. 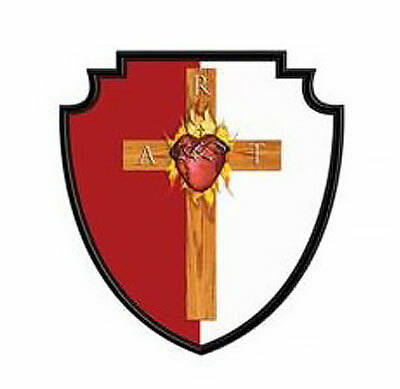 On 22 November 1988, the Most Reverend Anthony F. Tonnos, Bishop of Hamilton, issued a Decree by which The Queen of Peace Croatian Franciscan Centre in Norval, Ontario as a Catholic Community was established. Since then, there have been active two, sometimes three Franciscans. At the time of writing this text, they are Fr. Marko Puljić, O.F.M. and Fr. Tomislav Pek, O.F.M. In 1989, the Diocese of Hamilton entrusted the pastoral work in the Holy Family Parish in Kitchener to the Franciscans of our Custody. Presently, the pastor there is Fr. Miro Grubišić, O.F.M.. 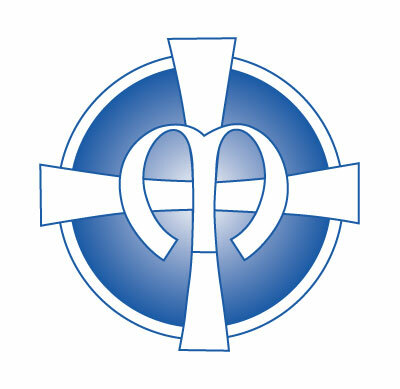 The Ukrainian Catholic congregation - Sisters Servants of Mary Immaculate, is an international apostolic community rooted in the Byzantine Eastern Catholic tradition, founded 1892 in Ukraine. By 1902, four Sisters were missioned to Canada and settled in Alberta. As vocations flourished, the Sisters opened missions across Canada, the United States and internationally. This led to the transfer of the Novitiate (School of Religious Formation) and Provincialate (Governing office) from Alberta to Ontario. In August of 1946 the Sisters purchased the Wynnstay Estate in Ancaster, Ontario and named it Mount Mary. In the Spirit of our charism, the Sisters assisted in parishes and taught in schools in Hamilton, Ancaster and Kitchener, and in 1947 Sisters began summer schools for children and youth. Mount Mary in Ancaster has always been a place of prayer and pilgrimage. The first Marian pilgrimage took place September 5, 1948. On July 7, 1957, the Holy See designated Mount Mary as an indulgenced site for the Ukrainians in the Toronto Eparchy. This yearly pilgrimage now takes place on the 4th Sunday of June. May 1952 saw the construction of Mount Mary Academy – a residential and day high school for young women. With the closing of the Academy in 1975, the Sisters began a new apostolate – Mount Mary Immaculate Retreat Centre, hosting many groups for retreats and conferences. Serving in this way, the Sisters continue to “Go where the need is the greatest,” embracing the needs of all who come to Mount Mary, following in the footsteps of their co-foundress Blessed Josaphata Hordashevska. Currently there are approximately 74 Sisters in Canada and 700 Sisters worldwide serving in 16 countries. 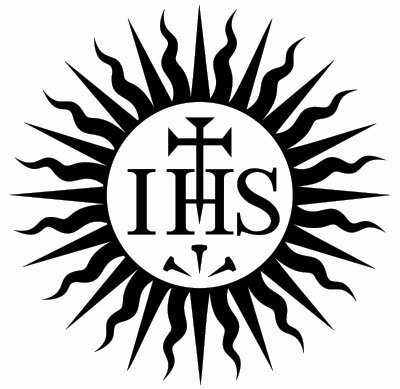 The Society of Jesus (Jesuits) was founded by St. Ignatius, who lived from 1491-1556. In 1852, Bishop Armand-Francois-Marie de Charbonnel of Toronto appointed Fr. John Holzer, SJ, to be the pastor in Guelph. The parish was to be under the care of the Jesuits for about 80 years, until 1931. Fr. Holzer founded St. Joseph Hospital in 1861, to be operated by the Sisters of St. Joseph of Hamilton Diocese. In 1874 his successor, Fr. P. Hamel, SJ, began plans for the building of the Church of Our Lady Immaculate in Guelph. Construction began in 1877 and was completed in 1926. During this time, the Jesuits reached out from Guelph and established many parishes. In 1929, property located north of Guelph was purchased by the English Canadian Jesuits to establish St. Stanislaus Novitiate. The Novitiate was incorporated in 1958 and its name was changed to Ignatius College. In 1964 Loyola Retreat House relocated from Oakville to Guelph. After a period of transition, the property was named Ignatius Jesuit Centre in 2000.. The charisms of the Jesuits are to “find God in all things” and to work “for the greater glory of God”. 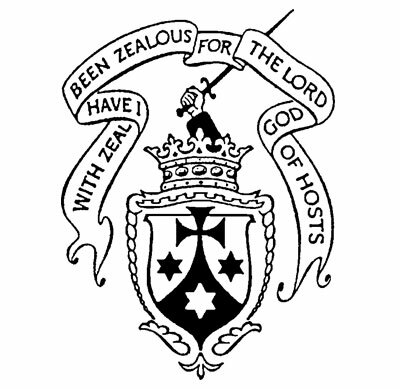 Presently there are five Jesuits serving in the Diocese of Hamilton. They continue their ministry at Ignatius Jesuit Centre and serve Holy Rosary Parish in Guelph. In addition to retreat work and care for the environment, they have had a long tradition of ministry at the University of Guelph. The Society of the Sacred Heart of Jesus is a society of apostolic life. It was founded by a Jesuit father, Ferenc Biro S.J., in Hungary in 1921, and it is under papal jurisdiction. One part of the sisters belonging to the community lives together in communities, and others live on their own, but all of them share the same apostolic calling and mission, and all follow the evangelical counsels. The charism of our mission originates from the spirituality of St. Ignatius of Loyola, as he puts it in his Spiritual Exercises: everything is for the greater glory of God. Our Community worked in Toronto, London, and Hamilton Dioceses. We are currently in Hamilton only, since the majority of Sisters returned to Hungary after the fall of the communists regime. The Legionaries of Christ are a religious Congregation of priests of pontifical right founded in 1941 in Mexico. Our religious family is made up of priests and students for the priesthood. Members of our Congregation include 3 bishops, 953 priests, 932 religious in formation and novices, and 954 candidates and minor seminarians. We aspire to make Jesus Christ the center, standard and example of our lives. Extending Christ’s Kingdom is the ideal that inspires and nourishes our spiritual and apostolic efforts. 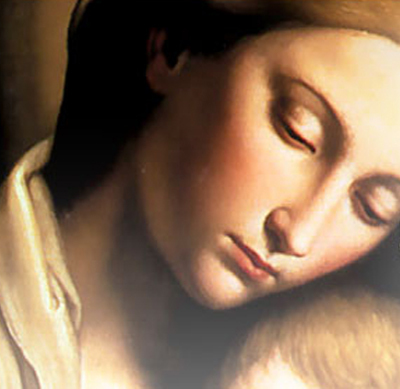 We foster a heartfelt love for the Blessed Virgin Mary, promoting devotion to her and imitating her virtues. We strive to live out a personal love for the Church and an unconditional adherence to the Pope, the Vicar of Christ, and to the College of Bishops. The general fields in which we carry out our pastoral activity are education, missions of evangelization, attention to the underprivileged and works of Christian charity, ongoing formation for diocesan priests, mass media, and family and youth ministry. In all of our institutions and apostolates we seek to awaken in Christians an awareness of their calling to holiness, to apostolate and to being active members in their parishes and in the Church, as well as energetic and joyful spreaders of Christ´s message in the society. We carry out our pastoral activity particularly with the lay and consecrated members of the Regnum Christi Movement. Together, Legionaries and Regnum Christi members comprise a single spiritual family, sharing the same charism and mission. Legionaries support Regnum Christi members in their formation, serve them with our priestly ministry, and work with them in the apostolate. In the Diocese of Hamilton, five members of our community assist in local parishes and schools where we offer youth programs. On the Feast of Pentecost 1703, Claude Poullart des Places, stood with a dozen candidates for priesthood before the Statue of Our Lady of Rescue in the Church of Saint-Étienne-des-Grès in Paris. Thus began a congregation which developed its missionary activity throughout the eighteenth century. It suffered in the French Revolution and by the middle of the nineteenth century was struggling for survival. In the 1820s, Jacob Libermann, son of a rabbi, underwent a crisis of faith while pursuing rabbinical studies in Metz, France, became a Catholic, took the name Francis and joined the seminary of St Sulpice. The onset of epilepsy delayed his ordination. The movement to end slavery was gaining ground and he became involved with two colonial seminarians in their dream of providing priests to Réunion and Haiti. After Francis’ recovery of health, the Society of the Holy Heart of Mary was born in 1841. There was a fusion of the two missionary societies in 1848, the name of the older congregation was retained, and so the Spiritans were revitalised. One of their express charisms is ministering to the most abandoned. The Congregation is also involved in education at the secondary and university level. Individual Spiritans came to Canada as early as 1732 but the first community presence was in French-speaking Canada in 1905. English speaking Spiritans came to Canada in 1954 and since then have been active principally in Ontario and Alberta. In addition to priests and religious brothers, the Congregation also has lay associates, men and women who work with the Spiritans in building God's kingdom. 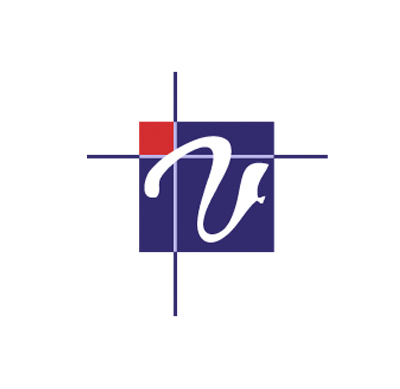 A lay missionary organisation, Volunteer International Christian Service (VICS), was founded by the Spiritans here in Canada. Nearly 3000 Spiritans are present in eleven countries in Europe, nine countries in the Americas, 27 countries in Africa, and in Australia, Papua New Guinea, Philippines, Taiwan and Pakistan. In Hamilton Diocese they presently minister in Oakville, Dundalk and Erin. 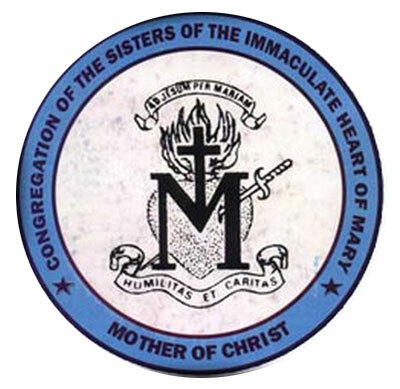 The Congregation of the Sisters of Immaculate Heart of Mary Mother of Christ, was founded on October 7, 1937 in Nigeria, by Archbishop Charles Heerey CSSP, an Irish Missionary. The plight of the less privileged, the overwhelming ignorance, abject poverty, malnutrition, poor medical care and dehumanizing conditions of women and children in his mission captured his compassion and humble personality. Hence Archbishop Henrey founded an indigenous Religious Community to help in this ministry. The Charism bequeathed to us by our Founder is Compassion of Christ in a Spirit of Humility for the service of humanity, especially the uplifting of women and family life under the patronage of Our Lady. With community life centred on the Holy Eucharist and Marian devotions, about 950 IHMMC sisters serve as missionaries in many countries of Africa, Europe, Canada and USA. Our sisters minister in different capacities. Our apostolates encompass education and healthcare at different levels, pastoral work, retreat and counselling, agriculture and social services. IHMMC sisters run programs in many African countries that empower widows to be self-sufficient; provide shelter for pregnant teenage mothers to avoid the evil of abortion, and a compassionate home for orphans of deceased AIDS patients and abandoned elders. In Hamilton Diocese we are ministering from St. Pius X Parish, Brantford. We serve in healthcare. We are active in different parishes in Brantford as liturgical ministers, faith sharing groups, Legion of Mary and prison ministry. We have an associate group that meets once a month to know more and share in our charism and spirit while living out their Christian commitment in their homes and places of work. 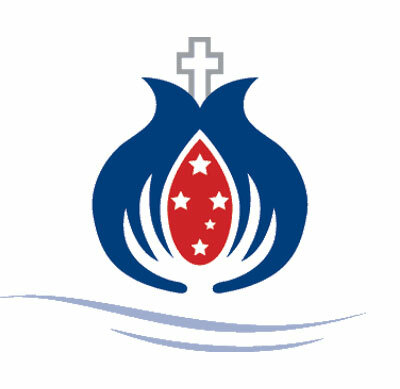 The Congregation of the Sisters of St. John the Baptist commonly known as Baptistines is an international Religious Community. We are called to prepare the way of the Lord; to reveal and witness Jesus of Nazareth to the world in the light and hope of the coming of the Kingdom of God. Our Congregation’s spirituality and mission is the praise of God, the sanctification of our members through the action of the Holy Spirit and the service of our neighbour according to our common vocation and mission. We work for the glory of God as educators of children and youth especially the poor, the abandoned and those at risk. Our Congregation was founded in 1878 in Angri, in southern Italy, by a diocesan priest, Blessed Alfonso Maria Fusco and our Mother Maddalena Caputo, the first General Superior. The Baptistines arrived in Canada on March 26th, 1962. Our first mission in Hamilton was at All Souls Parish. In 1967 we moved to Mohawk Road where we have a Children’s Learning Centre -Infant Jesus. In 2010, we opened a second community Waterdown where we do similar ministry with the children. Today, there are 700 Baptistine Sisters, who have been "preparing the way of the Lord" in the lives and hearts of God’s people. Empowered by our vowed love for God and strengthened by the bonds of Community Life, we seek through education, health care, and pastoral ministry to remove those obstacles which hinder people from freely accepting the Love and Word of God into their lives. We serve on 5 continents in 17 countries: Italy, USA, Brazil, Chile, Zambia, Canada, India, Philippines, Argentina, South Korea, Poland, Mexico, Madagascar, South Africa, Malawi, Moldova and Cameroon. 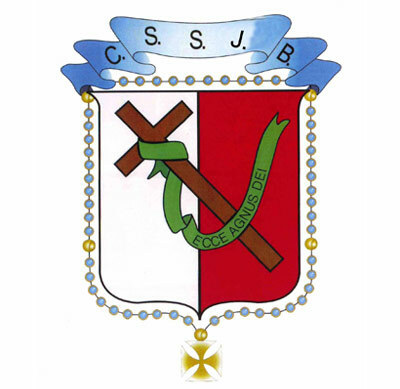 Blessed John Baptist Scalabrini (1839-1905), bishop of Piacenza, Italy, founded the Missionaries of St. Charles Borromeo, also known as Scalabrinians, on November 28, 1887. 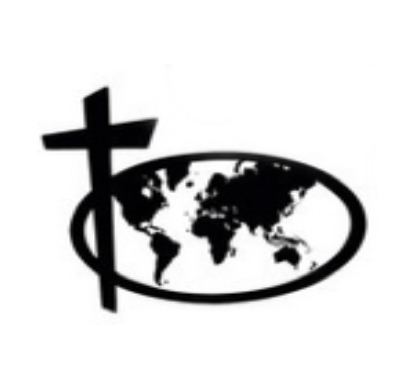 Founded in response to the massive emigration from Italy toward the Americas in the late 1800’s, today they serve in thirty two countries and five continents in hope of raising the plight of the poorest migrants, to safeguard their faith, human rights, and cultural values. They are also present in Venezuela, Haiti, Columbia, Guatemala, Mexico, the United States, and Canada. There are 568 priests worldwide, of whom six are bishops and one is a cardinal, nine deacons seven brothers, 113 seminarians. At the invitation of Bishop Thomas J. Dowling the first Italian priest from the Scalabrinian Missionaries, Fr. John Bonomi, arrived in Hamilton in March 1908 to care for the spiritual and temporal welfare of the new immigrants. The Scalabrinians began their ministry at St. Anthony Parish first and then at Our Lady of All Souls Parish in Hamilton, where they continue to serve today. Over the years, many Hungarian, Portuguese, and Vietnamese immigrants have been made welcome by the Scalabrinians in Hamilton. Since the mid-1980’s All Souls Church has provided a home for a lively ministry to Hispanic Catholics. More recently, members of the Scalabrinian Lay Movement have actively provided spiritual and temporal assistance to Mexican farm workers in the Waterdown area who have left their wives and children to gather crops from April to November. The Clerics Regular of St. Paul, also known as the Barnabites, were founded in 1533 by St. Anthony M. Zaccaria in Milan, Italy. Inspired by St. Paul, he gathered men desiring an intense life of interior renewal, devoted to the Eucharist and Christ Crucified to labour for the renewal of Christian fervor so desired in that period. The Pauline charism of the renewal of Christian fervor permits us a flexibility in ministries while drawing on a strong community life for our own renewal and availability to the People of God. Barnabites are known as men of culture and spiritual zeal, serving as spiritual directors, confessors, educators, youth ministers, chaplains to various renewal movements and missionaries. There are about 400 Barnabites ministering in Canada, the USA, Mexico, Italy, France, Belgium, Poland, Congo, Rwanda, Tanzania, the Philippines, India, Indonesia, Argentina, Brazil, Chile and Afghanistan. We are 13 in North America conducting a Marian Shrine in Lewiston, NY, a Spiritual Center in Bethlehem, PA and staffing parishes in San Diego, CA and the Tuscarora Nation. 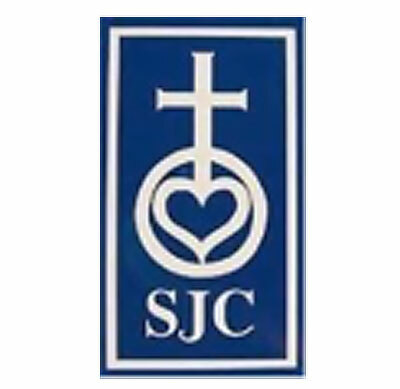 We are especially honored to be serving at St. James Parish in Oakville, Ontario. Formerly we also served at St. John Parish in Guelph and Assumption Parish in Stoney Creek. 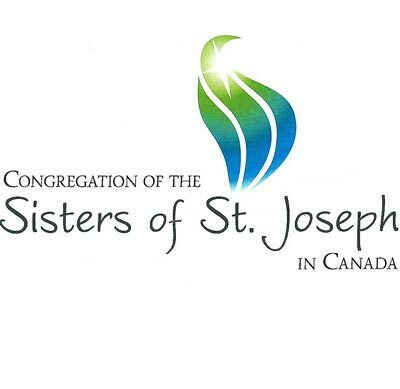 The Congregation of the Sisters of St. Joseph in Canada is both old and new. Sisters of St. Joseph around the world trace their origins to October 15, 1650 in Le Puy France. Fr. Jean Pierre Medaille S.J., and a group of six women responded to the miseries of their times. The charism of inclusive love, God's great love for us, inspires Sisters to live in a spirit of unity and communion, desiring right relationship with God, with all people, and with all of creation. In the rich tapestry of the story of the Sisters of St. Joseph we have been, and are still, "reading the signs of the times"and responding to them with loving energy and in new ways. We have many Associates and Companions who share this charism. With a passionate commitment to our ongoing mission and for new life the Congregation recently chose a new beginning when the Congregations of the Sisters of St. Joseph of the Dioceses of Hamilton, London, Peterborough and Pembroke amalgamated to become the Congregation of the Sisters of St. Joseph in Canada on November 22, 2012. We currently have 277 Sisters. We joyfully welcomed two novices in October, 2014. Rooted in prayer and active in loving service, Sisters have ministered throughout the Hamilton Diocese since 1853 in education, health care, parish and social ministries and many other forms of service that reflect the love of God and love of neighbour without distinction They currently have a presence in Kenilworth, Guelph, Kitchener, Brantford, and Hamilton. Sisters are in ministry across Canada (Ontario, Manitoba, Alberta, British Colombia, and Northwest Territories) as well as in the United States and Peru. 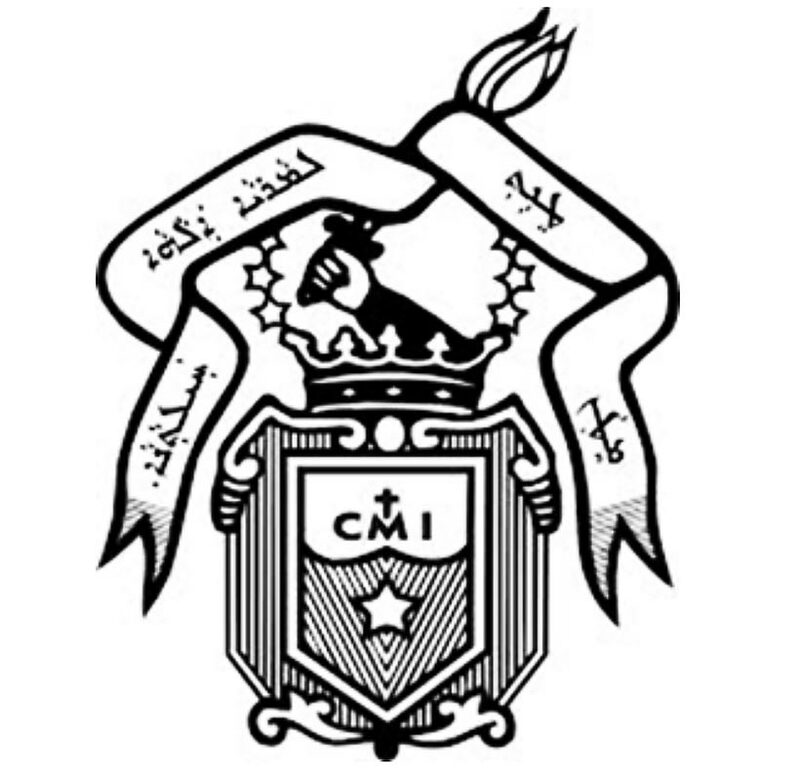 The Carmelites of Mary Immaculate (CMI) were founded in India by Kuriakose Elias Chavara, who was declared a saint, by Pope Francis on November 23, 2014. St. Chavara was born in Kerala on February 10, 1805. After his ordination to the priesthood he sought to revitalize the Christian life of Thomas Christians in India. With a group of diocesan priests he started a Community of Religious Men for the purpose of establishing a team of qualified priests who would be available to serve the Church without being in charge of the administration of a diocese or a parish. St. Chavara was instrumental in founding two religious congregations. The Order for men, the Carmelites of Mary Immaculate (CMI), founded in 1831, numbers about 3000 members today and ministers in 30 different countries of the world. There are at present 108 CMI priests engaged in pastoral ministry in North America. 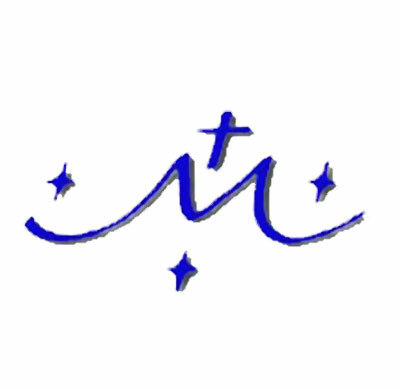 The Order for women, the Congregation of the Mother of Carmel (CMC), founded in 1866, now has over 7000 sisters serving in numerous countries of the world. St. Chavara established a seminary to give state-of-the-art training to young men at the Motherhouse at Mannanam – first of its kind in India. As the Vicar Apostolic for the Syro-Malabar Catholics, he took pioneering steps to establish schools with every parish church. St. Chavara provided care for the sick and destitute, especially the elderly. He had a special concern for families and was a strong promoter of devotional life for Catholics. The CMIs have worked in several parishes of Hamilton Diocese. Presently they minister at Sacred Heart and Annunciation of Our Lord Parishes in Hamilton. 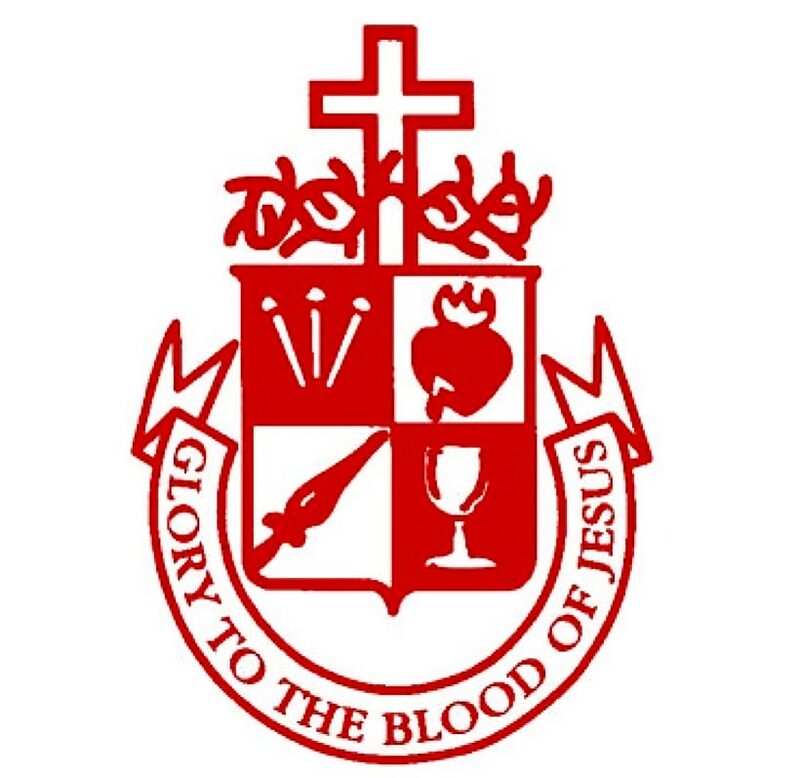 The Sisters Adorers of the Precious Blood were founded in St. Hyacinthe, Québec, in l861 at a time when there were no contemplative communities in Canada. Catherine Aurelia Caouette, the Foundress, was a young woman with an exceptional understanding and appreciation of the Precious Blood of Jesus given for the salvation of all people. She founded a Community called to live and share this devotion. The heart of her spirituality is "to be a sign of the boundless love with which Jesus shed His Blood to redeem the world. The foundation of the Congregation and its essential spirit is LOVE, a love which is expressed through a life of prayer lived in community for the service of the Church". Our vocation is to be united with Jesus in adoration of the Father and in offering ourselves on behalf of the whole human family in reparation, intercession, praise and thanksgiving. Ours is a ministry of prayer within contemplative community life. The Eucharist and the Liturgy of the Hours are celebrated daily in Community. In Canada we have monasteries in the Dioceses of Hamilton, London, Regina and Calgary. We have 49 professed religious and five young women in our Formation House in London. In addition there are four American monasteries, two in Japan and one in St. Hyacinthe, Québec. At the time of its foundation each Monastery is given a name. Our Foundation Day in Hamilton was May 14th, 1946. As the world was still suffering from the World War II years, our foundation was given the name "Our Lady Queen of Peace". Prayer for peace is part of our daily life. At our Hamilton Monastery Altar Breads (Communion hosts) are produced and supplied to other monasteries for distribution throughout Canada. Our monastery, which accommodates 24 Sisters, includes a health care facility which serves our entire Congregation. In Paris France on February 17, 1836, a group of men under the leadership of a layman, Bogdan Janski, sought to live the dream of God by forming a religious Community which they would name the Congregation of the Resurrection of our Lord Jesus Christ. On Easter Sunday, March 27, 1842, Peter Semenenko and Jerome Kajsiewicz, along with five other clerics, professed their first Religious Vows in the catacombs of St. Sebastian in Rome. The vision and dream of these men was to dedicate themselves to the Risen Saviour and call themselves, "Brothers of the Resurrection". These men are our elder brothers whose lives we seek to emulate! Historically, about half of our men in the Ontario Kentucky Province ministered in high school and university education. The other half were in parishes. Presently, most of our full time active men minister in parishes, which include: Sacred Heart, St. Louis, St. Francis, and St. Mary's in the Kitchener-Waterloo area, St. Joseph's in Brantford, St. Joseph's and St. Stanislaus in Hamilton, Ontario and St. Theresa's Cathedral in Hamilton, Bermuda, along with St. Boniface Parish in Louisville Kentucky. One priest is in University Education in Maryland. Fr. Louis Funcken founded St. Jerome's (College) University in 1865. To date SJU has graduated one cardinal, seven bishops and numerous priests. Our entire community is divided into three provinces and one region. Worldwide we have about three hundred members in 17 different countries. It is the desire of Resurrectionists to bring Hope to God's World; we are committed to bring about the Resurrection of Society. The religious profession of Anne Marie Javouhey and eight companions in St. Peter's Church, Chalon, France on May 12, 1807 marked the beginning of the Congregation of the Sisters of St. Joseph. 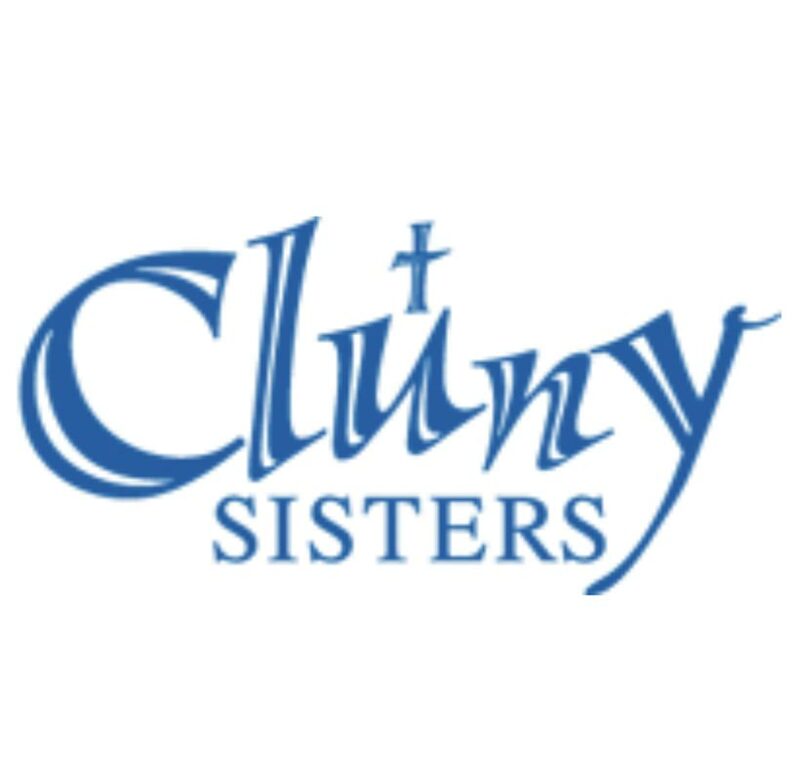 With the acquisition of a former Franciscan monastery in Cluny in 1812 "Cluny" was added to their name. The missionary dimension of the congregation evolved in 1817 when, at the request of the French government, five sisters sailed for the isle of Reunion. When Mother Javouhey died on July 15, 1841, the congregation worked on the five continents with a concentration in Africa, India, the South Seas and the French and British West Indies. What was the secret of Anne Marie's success? Her total reliance on God's will and trust in God's providence. Guided by her deep respect for the human person, for all that is good and true in other cultures and religions, as well as her creative genius, she succeeded in preparing 500 African slaves for freedom in spite of the fierce resistance of colonists who opposed this emancipation. This, along with the solid education of African children that empowered them to become priests, teachers and other professionals, is her crowning achievement equaled only by the ordination in 1840 of the first three black Senegalese priests, educated at the expense of the Congregation. Many among the African clergy still consider her their mother. Bishop Ryan invited Cluny Sisters to Hamilton in 1958. Mainly teachers, Sisters also ministered as chaplains, parish associates and in ministry to Portuguese immigrants. Today, they continue to reach out as volunteers at St. Joseph Hospital, Good Shepherd Angela's Place, and as parish associate at St. Mary's Parish, Hamilton. The Congregation of St. Basil, known as the Basilian Fathers, is a community of priests, students for the priesthood, and lay associates. Its members profess simple vows, and are especially active in education and evangelization. The Community was born in the Ardèche, in south-central France, where diocesan priests fugitive from the Revolution organized a clandestine school for boys. In 1800 the Reign of Terror subsided, the school became a minor seminary, and moved into the town of Annonay, with branches nearby. In 1822 ten of the “Teaching Priests of the Ardèche” gathered in the village church of St.-Basile for their first General Chapter, and so became the Basilian Fathers. They were an association of secular priests willing to live in community and to pool their resources in support of Christian education and preaching. Formal vows were not fully adopted until 1922. In 1852 the Bishop of Toronto, invited the Basilians to establish St. Michael’s College, and 1863 Bishop John Farrell of Hamilton persuaded them to accept St. Mary’s Parish in Owen Sound and its territory, approximately the northern third of the diocese. The parish remained under Basilian care for 145 years, establishing many nearby missions. Basilians now remain in the diocese, at Formosa, Teeswater and Riversdale. 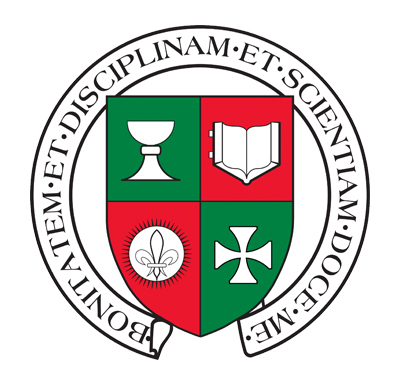 During this time Basilian schools, colleges and parishes were established elsewhere in Ontario, as well as Saskatchewan, Alberta and British Columbia. In the late 1800s Basilians spread to the United States. They opened missions in Mexico in 1961 and Columbia in 1987, currently with parishes and schools in Tehuacán, Mexico, and Bogotá, Cali and Medellín, Colombia. Never a large congregation, Basilians have lately withdrawn from a number of parishes and institutions. But from the beginning, they have been willing to respond to new needs and invitations. Toronto is now the headquarters and Annonay a fondly remembered hometown. Daniel Comboni, born in Limone, Italy in 1831, knew at an early age that he would be a priest and missionary. His love was Africa, and in 1854, when God called him there, Daniel answered with all his heart and soul. St. Daniel devised a plan not just to bring the Gospel to people who had never heard it but also to prepare Africans to evangelize their own people – a revolutionary idea for his time. His motto, Save Africa with Africa, captures the essence of the trust he had in the African peoples. Named the first Bishop of Central Africa in 1877, Daniel continued his faithful ministry until, at the age of 50, worn out and plagued by fever, he died, but not before founding the Comboni Missionaries and Missionary Sisters who today carry out their founder’s charisma across Africa, Europe, Asia and the Americas. The Comboni Missionaries are a world-wide group of more than 4,000 priests, brothers, sisters and laity from diverse cultures who have dedicated their lives to following Christ’s example and St. Daniel Comboni’s missionary ideal of evangelization. The Comboni Missionaries have been in Canada since 1960 and in Ontario since 1979. Since 2005, they have been serving at St. Joseph Parish in Kitchener. The Congregation of the Missionary Oblates of Mary Immaculate began on January 25, 1816, when Father Eugene de Mazenod and four companions came together to preach missions in Provencal, in the rural countryside of southern France. What do Oblates do? They do everything. They are not specialized, except in facing urgent needs.... It was enough for bishops to come to the Oblates’ Founder and say to him: "I do not have anybody..." for him to act, re-examine his manpower and release 2 or 3 men for these new needs. And that continues today. It is a question of passion, of missionary concern. Most importantly the Oblates devote their lives to prophetic service of the poor, marginalized and excluded. Oblates providing ministry in the Diocese of Hamilton, include Bishop Douglas Crosby OMI. The Oblates serve at St. Patrick Parish in Hamilton, where they face the challenges of the “red zone” of the core of the city. They are also providing renewal of the North End of Hamilton, in St. Lawrence Parish as well as Holy Family in Hamilton East. Our Lady of Vietnam Parish in Hamilton and its Mission in Waterloo, provide ministry for Vietnamese. The Constitutions and Rules state: "Always close to people with whom they work, Oblates will remain unceasingly attentive to their aspirations and values...."
The Sisters of Charity of Saint Vincent de Paul of Zagreb are a Congregation of 720 religious women, spread worldwide on the three largest continents (Europe, North and South America) who seek to reveal God’s love in the varied ministries for the poor and disadvantaged of our time, following the call of Jesus. The Sisters of Charity (Daughters of Charity) were founded by great apostle of the Christian charity, St. Vincent De Paul in Paris, France in 1633, and spread throughout Europe. One hundred and seventy years ago, the first 6 sisters came to Zagreb - Croatia from Zams, southern Tirol - Austria, in response to a call of Bishop J. Haulik. He requested sisters for assistance in caring for the sick and poor, and the establishment of schools and orphanages for the poor children. There he established our community, and our Generalate with Motherhouse is still in Zagreb. Our congregation consists of 6 provinces and 1 delegacy, and lives according to original rules of St. Vincent De Paul. The majority of the sisters serve in Croatia, but the congregation is also present in the Diocese of Hamilton, Canada. The sisters have been in South America (Argentina, Uruguay and Paraguay) for 80 years, in USA for 60 years and in Canada in Diocese of Hamilton since 1978. The sisters are engaged in academic and religious education, nursing and health care services, special care for the poor, and pastoral ministries, trying to respond to the signs of the time as well as the present limitations. There are presently three sisters working in Holy Trinity Croatian parish in Oakville. The are engaged in apostolic work: religious education and pastoral ministries. For more information: Vocation Director: Sister M Smiliana Delonga, 2124 Trafalgar Road, Oakville, ON L6L 7H2 or email: s_milosrdnice@hotmail.com. 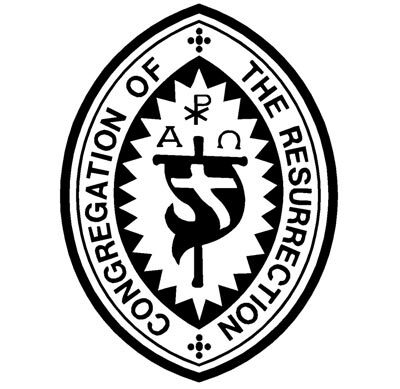 The Society of Christ is a religious community made up of priests, brothers and seminarians. In North America this Congregation is call as the Society of Christ Fathers. The Society of Christ was founded on September 8, 1932 by the then Primate of Poland, Cardinal August Hlond, in cooperation with Fr. Ignacy Posadzy. After Poland regained its independence in 1918, the Polish Episcopate and state authorities made efforts to provide Poles abroad with every manner of assistance, particularly the care of souls. 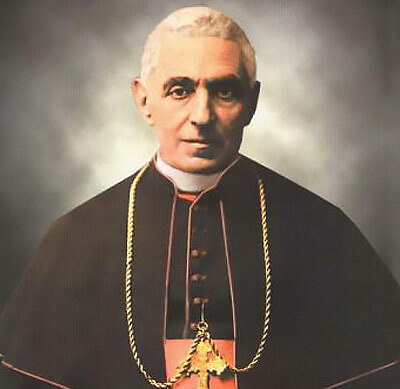 As spiritual guardian of the Polish emigrants abroad, Primate Cardinal A. Hlond, after consulting with the Holy See and receiving a directive from Pope Pius XI, called for the formation of a new religious congregation, whose purpose was the care of souls of the Polish diaspora abroad. Cardinal A. Hlond entrusted to Fr. Ignacy Posadzy the task of directing this initiative. For this reason he is considered be co-founder of the Society of Christ. The main mission of the Society of Christ is achieving holiness through the imitation of Jesus Christ. In a special way, members of the Society take an active part in the apostolate of caring for Poles living outside the borders of Republic of Poland and in pastoral work of local churches. At present 445 priests and 18 brothers fulfill this mission on five Continents. In Poland they serve in 22 parishes. Headquarters for this Congregation is located in Poznań, Poland. Father Jan Otlowski was the first Society of Christ Father to arrive in the United States in September 1957. In December of 1957, Bishop Caroll of the Diocese of Calgary placed him in charge of the Polish Catholic Mission in Calgary, Alberta. In 1960, he was joined by another member of the Society. In the following years, several more members of the Congregation were gradually added to the group. The Society of Christ Fathers serve in Hamilton Diocese at Sacred Heart Parish in Guelph.